Not everyone has access to shop ammentities like a lift and air tools. 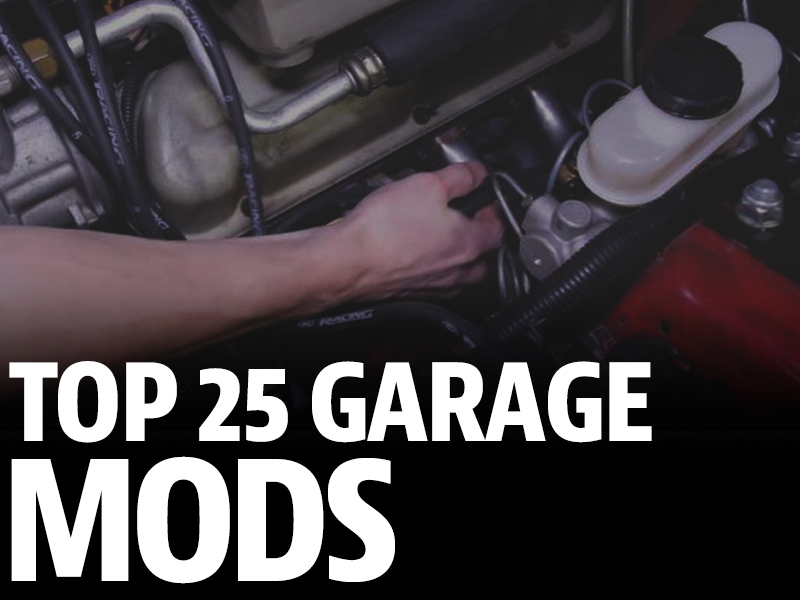 That's why we have put together this list of mods you can do in your driveway with common tools! Mustang Cold Air Intake - One of the most popular first mods for your Mustang is usually a cold air intake. 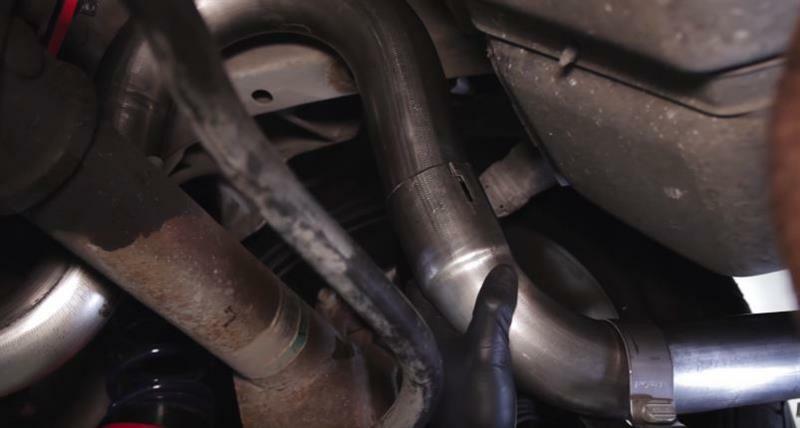 Being a quick and easy install that you can easily do in your driveway, installing a cold air kit is a great way to free up some horsepower and give your engine bay a more custom look! Most kits install in under an hour and can be done with basic hand tools for an easy first upgrade. Mustang Wheels - Adding a new set of wheels to your Mustang not only completely changes the look of the car, it can also be done in under an hour in your driveway. 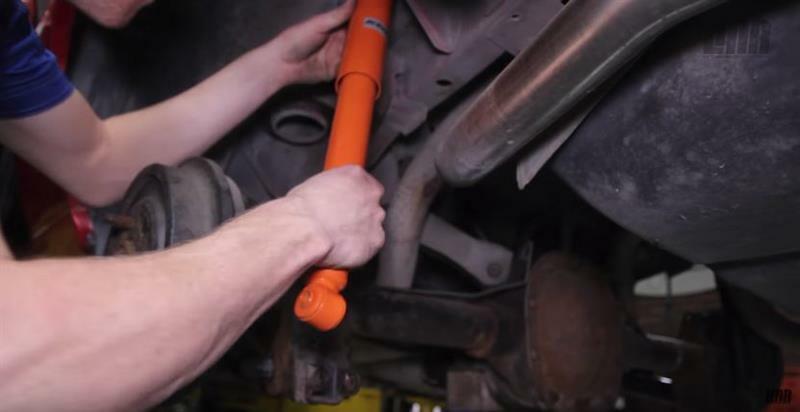 As long as you have access to a jack and jackstands, this modification can be done with only a tire iron if needed. However, we suggest a socket, breaker bar, and a torque wrench. Since Late Model Restoration offers completely mounted and balanced wheel and tires kits, all you have to do is unbox and mount them to your Mustang! Mustang Exhaust Kit - Axle back exhaust kits and cat back exhaust kits can easily be installed in your driveway by yourself, but we do suggest having a friend to lend a helping hand. 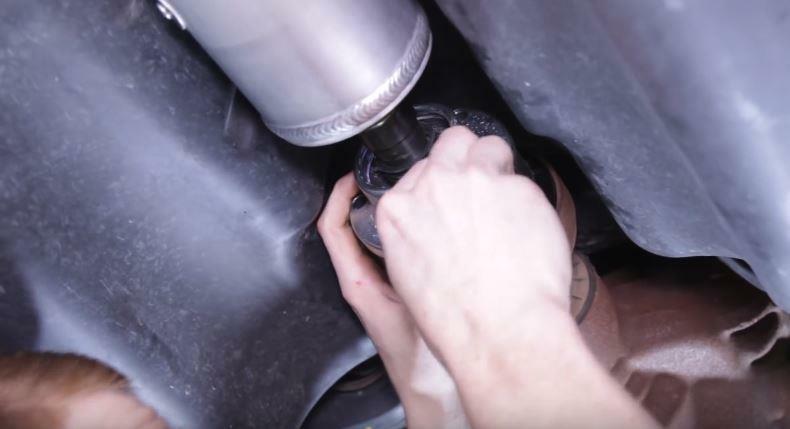 Using basic hand tools, you can easily unbolt and bolt up your Mustang exhaust kit in an hour or two. This is a quick and easy way to give your Mustang a louder exhaust tone while adding a great look to the rear of your car! Mustang Shorty Antenna - Possibly the easiest modification of the list, the shorty antenna, takes about 5 minutes with just an adjustable wrench. A shorter antenna is strictly cosmetic and you will sacrifice a bit of radio reach but the looks out weigh the loss of some channels, especially when if you don't listen to AM/FM. Mustang Headlights - Installing new headlights can easily kill two birds with one stone. New headlights replace old, faded headlights and can also be used to give your Mustang a custom look. OEM, Tinted, Halo, LED, and Black headlights are all great options for both restoring and customzing. With most Mustang headlights installing easily in your driveway with common hand tools, this was a staple on this list! Mustang Tail Lights - While you are adding new headlights, this is the perfect time to knock out those old tail lights as well. Most Mustang tail lights can be removed and reinstalled in 15-30 minutes with a socket set making this a quick and easy upgrade that can totally change the look of your car. Mustang LED Lights - One of the most popular mods on this list, LED lightning, has become increasingly popular over the past few years. LED lighting give you a brighter, more efficient lighting option over conventional halogen bulbs. They can be used anywhere regular bulbs are used and produce no heat and can be purchased in various colors for the perfect accent to your car. Depending on the bulb you are replacing, this mod should only take 15-30 minutes to do. Mustang Short Throw Shifter - For quicker and better feeling shifts, installing a short throw shifter should be on your list. With the proper hand tools, a shifter is one performance mod that can be installed in your driveway be even the most novice of installers. While some newer shifters require some work from underneath, it can still be easily done with the help of some jacks and jackstands. Mustang Lowering Springs - While Mustang lowering springs is one of the more labor intensive installs on the list, it is still one that can be tackled in the driveway with a more advanced set of tools and spring compressors (05+). 79-04 Mustangs do not require spring compressors unless you are reinstalling stock springs. They just require a full set of sockets both deep and shallow. 05-18 Mustang will require spring compressors if you are replacing only the springs. If you are replacing the springs and shocks/struts as a single unit, they simply bolt right in. Mustang Shocks/Struts - If you are installing lowering springs or just need to replace worn out suspension parts, shocks and struts are an easy, DIY in the driveway type of mod. Using just a socket set, you can easily swap out your factory shocks and struts for a new set of aftermarket components. Mustang Intake Manifold - Wanting to add some more power than your basic bolt ons? 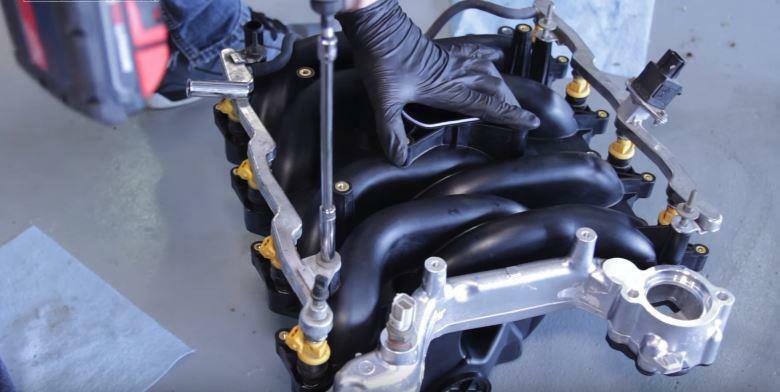 A performance Mustang intake manifold is a great way to improve those horsepower numbers. While it is probably the longest install on this list, not special shop tools are needed. Being meticulous and following manufacturer instructions carefully, you can knock this one out in a well lit garage or in your driveway. Be sure to find out if a tune is needed as you may want to keep your tuner handy. Mustang Tuner - While you technically do not "install" a tuner, it's still one of the must have mods when adding more future mods. Tuners simply plug into your OBDII port and you transfer your file to your car or tune it through the tuner itself. Tunes can be tailored to your specific mods making them perform better and can also be used to remove CELs. Mustang Spoiler - Add a custom look to your Mustang with a new rear spoiler! While most install in factory locations simply bolting in, some do require some drilling to bolt in. Either way, these can be install anywhere you have access to your socket set within minutes (unless you have to drill). Mustang Steering Wheel - One of the most used parts of your interior, the steering wheel, usually sees a fair amount of wear and tear. Installing a replacement or aftermarket Mustang steering wheel is an easy task that can take less than an hour with the correct tools. 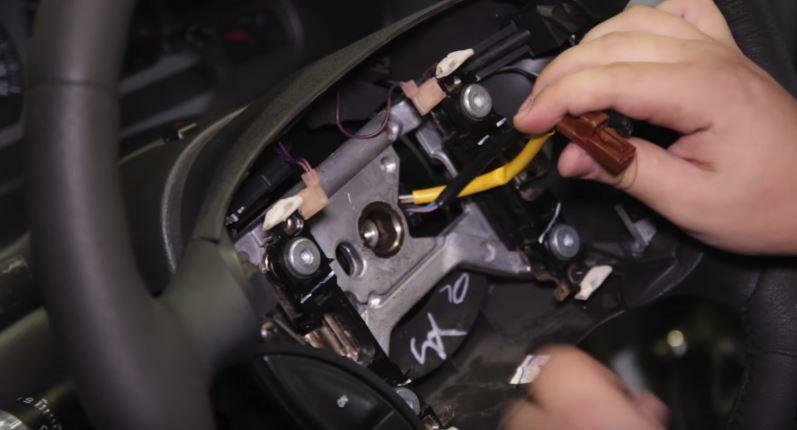 Since you will be working with a live airbag, it is best to disconnect the negative battery cable for 30 minutes prior. You may also need a steering wheel pulley in addition to your hand tools for this install. Mustang Pedals - On the subject of wear and tear interior parts, the pedals may be the most worn and torn of all. Replacing your nasty pedals with new aftermarket or replacement pedals can really give your interior a better look while improving the feel of your driving. Rubber and billet Mustang pedals are popular choices that install in minutes with little to no tools at all. 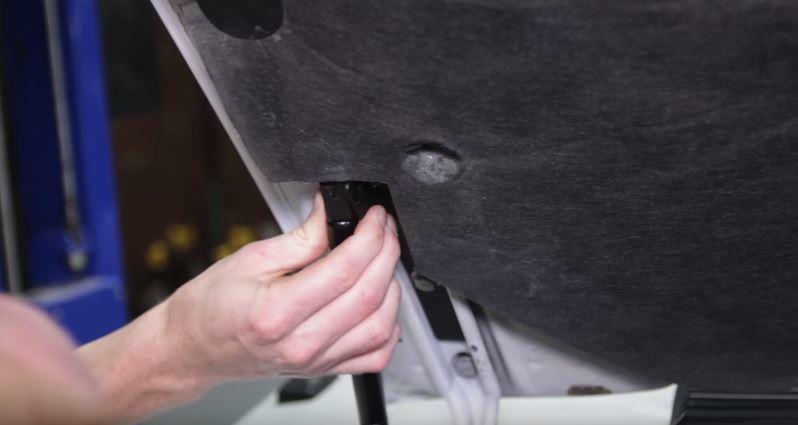 Mustang Chin Spoiler - An easy way to add a custom touch to your Mustang with an hour of your time in the driveway is installing a Mustang chin spoiler. Most chin spoilers require very little tools to install on your car and depending on your ride height, may only require a jack, jack stands, and a screw driver. Some kits do require a little more leg work but it's nothing you and a friend cannot tackle uner 2 hours in your garage! Mustang Front Bumper - While it may seem like a daunting task, installing a new front bumper is actually a lot easier than it looks. Most bumpers only require a small socket set and a couple of screwdrivers to remove and install from your Mustang. Some Fox Body bumpers do require a rivet gun and a drill with a drill bit to drill out the rivets but it is a very simple process. Having a helping hand is always suggested to help get everything centered and lined up. Mustang Grille - Billet grilles, Mach 1 grilles, Bullitt Grilles, and all other Mustang grilles are one of the most common first mods Mustang enthusiasts do to their cars. They solve two problems, making your car look different and replacing old, faded grilles. Most do not require and special tools and as long as you know your way around your car, you can knock it out in under an hour in most cases. Mustang Driveshaft - Adding an aluminum or carbon fiber driveshaft is a great way to drop rotational mass which helps your Mustang accelerate quicker. Being that it is a just a few bolts to remove and install, this install is one for list, although we do suggest having a friend to help out to make things just a little bit easier. 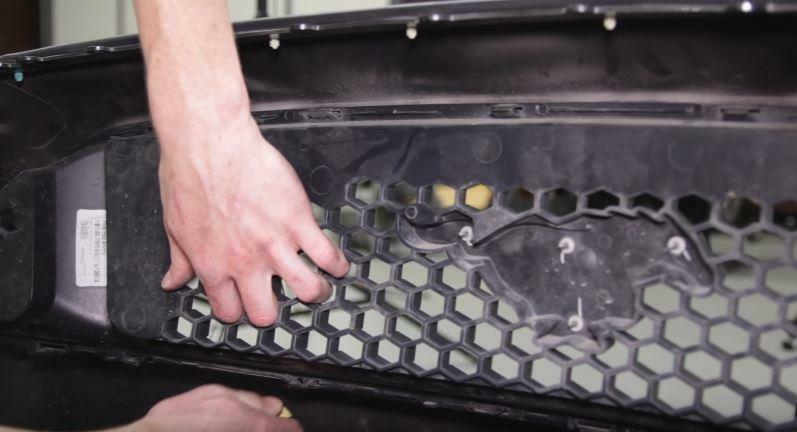 Mustang Aluminum Radiator - Replacing a radiator isn't the most fun task on the list but it's preventative maintenance and is a pretty simple install with your regular set of tools. Some upgrade to an aluminum radiator for the added performance benefits, others to replace a leaking OEM radiator. 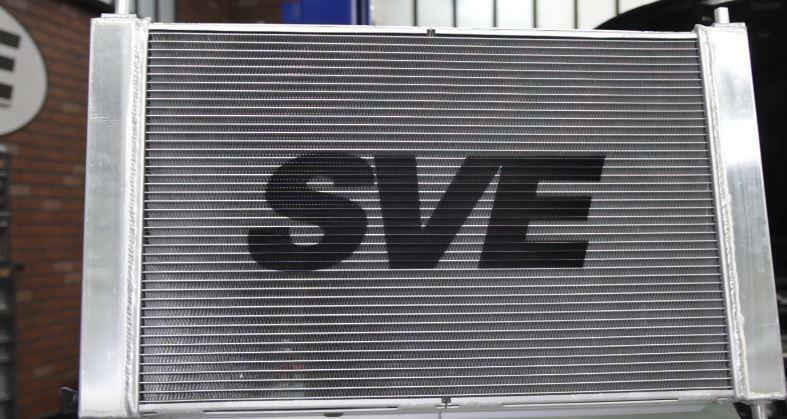 Either way, it's an upgrade that should be on your list for keeping your cooling system up to date and keeping your engine temps in check. 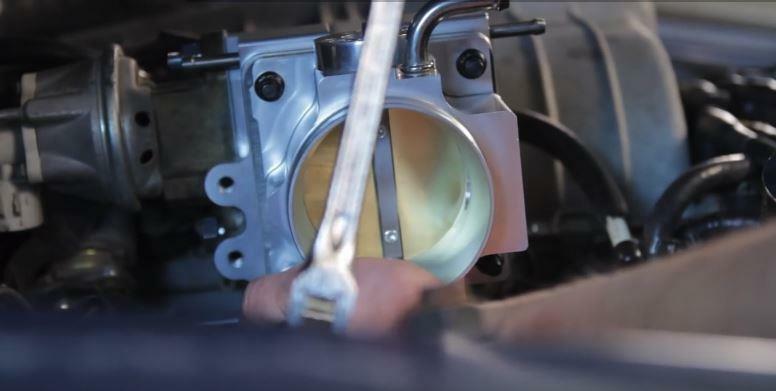 Mustang Throttle Body - After a cold air intake install, most people opt for adding an aftermarket Mustang throttle body to their engine. Aftermarket throttle bodies are wider in diameter, allowing more air into your motor to make more power. Since most are easily accessible and can be replaced with a few screwdrivers and a simple socket set, this was one mod you don't want to overlook when thinking about easy modifications. 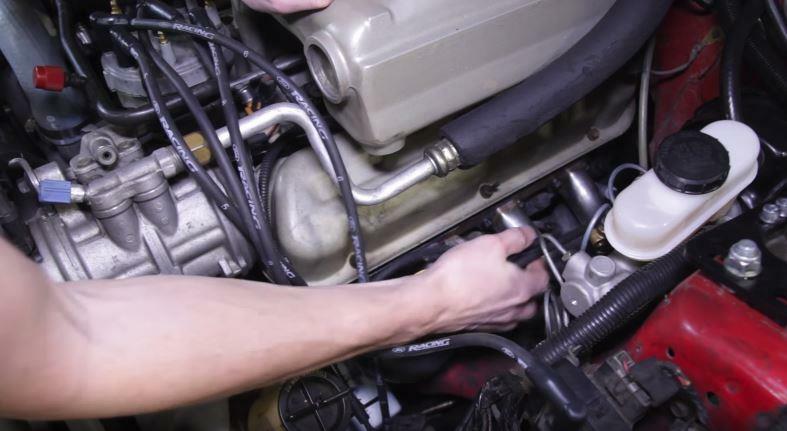 Mustang Spark Plug Wires - While new spark plug wires are not really referred to as a "mod", upgrading to performance wires can be a quick and easy modification that requires no tools and can easily be done in 10 minutes. Performance wires are made from low resistance silicone for minimum spark loss and their silicone insulation and boots withstand high temperature and voltage loss. Mustang Rear Control Arms - Reduce wheel hop and transfer more of your power to the ground with an aftermarket set of Mustang rear control arms. Tubular control arms are a HUGE upgrade over factory control arms and most come with new urethane bushings which are also a big upgrade over the factory rubber bushings. Bolting in the same way the old control arms were bolted in, this install is easily done with a jack, jackstands, and a good socket set. Mustang Hood Struts - A simple but highly effective modification that pays for itself each time you open your hood. 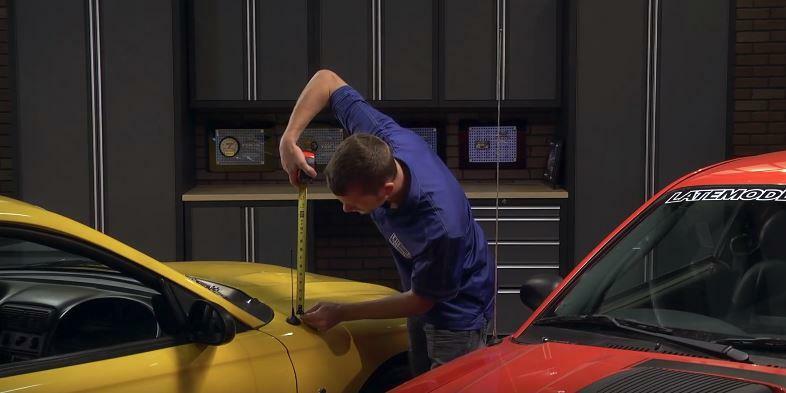 Mustang hood struts install with common hand tools and can go in within 15 minutes. You can even remove your factory prop rod as it will no longer be needed now that your hood is kept open by gas shocks. Mustang Underdrive Pulleys - Underdrive pulley systems increase engine horsepower by reducing the amount of power required to drive external engine accessories. For example, the alternator, power steering, water pump and air compressor rob horsepower from the engine. By replacing factory-sized crank and accessory drive pulleys with a resized pulley, the accessories are slowed, resulting in more horsepower available to the drive wheels. They are easily installed with a good socket set!